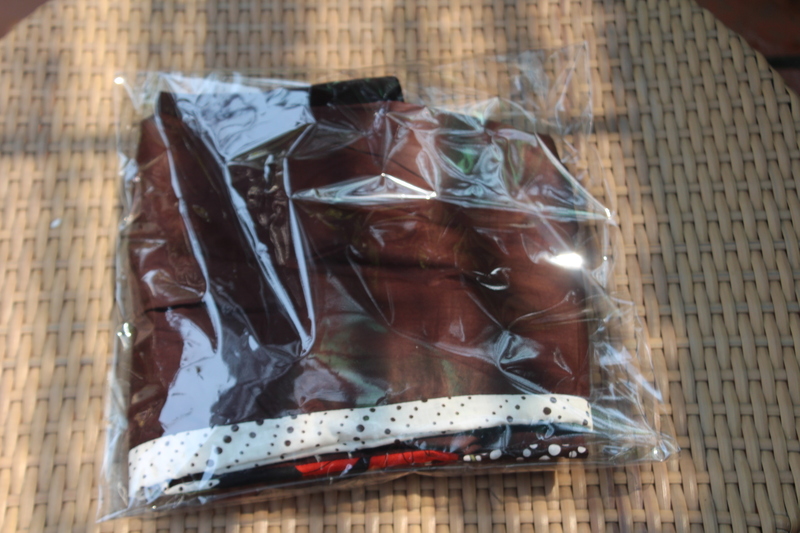 For Christmas, Firstborn, Onlyboy and Paris each received $50 Cdn to have an item of their choice tailored in Hoi An. This is available all over Vietnam but Hoi An is a city of tailors with custom tailor shops sitting cheek by jowl. Anyways, after much research, we settled on Lana Tailor. 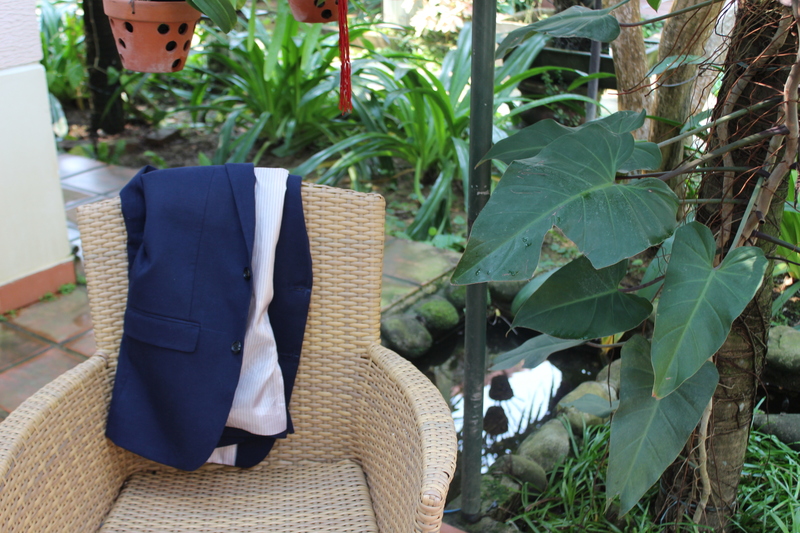 Lana is located at 90 Le Loi Street, in the heart of the old town and is one of the most reputable tailors in town. 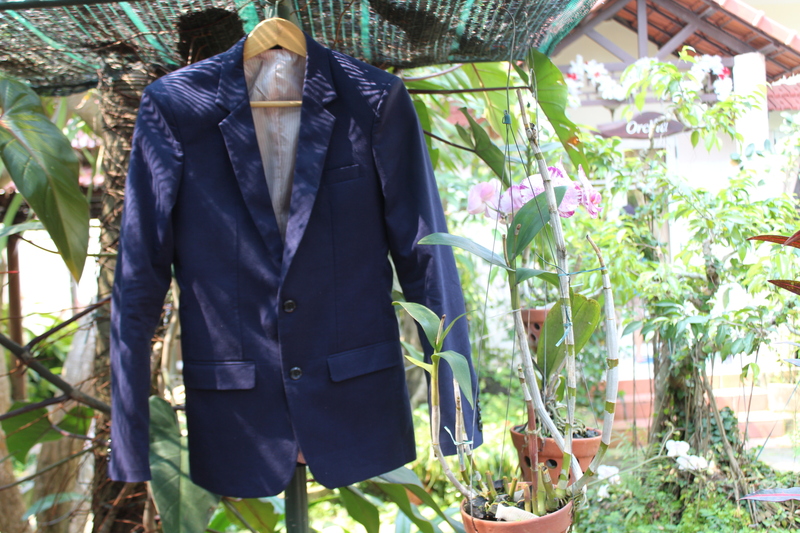 Onlyboy wanted a blazer. Paris has always loved Asian style dresses typical of Japan and Vietnam. Whenever she sees a madarin collar or kimono or frog closures, she starts to drool. So a silky traditional style Vietnamese dress was for her. Firstborn had no idea what she wanted. Maybe a simple cotton dress like they used to wear in the fifties? Onlyboy was up first. Only they called him “Boy” rather than “Onlyboy”. It was funny to see the many shop assistants fluttering around him and shouting from various parts of the shop, “Boy, Boy, come here Boy.” “Boy, which fabric you like?” “Boy, stand still Boy!” He chose navy blue with a striped lining. He wanted slit pockets and two buttons. He opted for a single vent in the back. Because he is growing like a weed, the advice was to have the jacket made 1 1/2 sizes too big. Next came Paris. The fabric options for her were endless but sadly, pure silk was too pricey and not practical for a tween. In the end, she settled on a more durable and machine washable satin-silk blend. She chose a beautiful purple fabric with a floral pattern on the bottom. She decided to have her collar edging done in floral rather than plain purple fabric. Because there were no sample dresses of this style in the shop or to be found in the catalogues on hand, Paris described what she wanted and the shop assistant sketched it out for her. The lady drew several sketches to show different collar and sleeve options. Paris being 11, the decision was made to add a few centimetres to the hips, waist, bust and shoulders to allow it to fit her longer. She chose a side zipper to allow her to get in and out of the fitted dress. Firstborn struggled. She liked many things but didn’t have a clear idea of what she wanted and with limited funds, didn’t know which items should be chosen as THE ONE. Her style is casual but she didn’t want to choose something that she could just buy off the rack at a mall. After much agonizing, she selected a loose-fitting, above the knee, cotton dress with interesting detailing from a catalogue. She chose her fabrics and lining and opted for slit pockets. At the last minute, Fahbio decided to have a blazer made as well. Single vent. Tweed. I didn’t say anything but was secretly pleased because I have a special surprise in store for the family further down the road and a tweed jacket will be good to have. The three kids were slightly over budget and of course Fahbio’s jacket put us well above what we had planned to spend but the price seemed fair for 2 jackets and 2 dresses. We were all measured up by late afternoon and instructed to return the next day at 4 pm. When we returned, Fahbio’s jacket fit beautifully. Firstborn’s dress looked great. Paris was a vision and the dress wasn’t even finished! Simply stunning. Onlyboy had a few issues with his armholes and upper sleeves. There was a flurry of activity and much debate. Onlyboy is very thin and tall and the jacket was purposely made too big so he could grow into it, so trying to iron out minor fitting details was tough. He insisted that he felt constricted when he moved his arms, but he is not used to wearing a blazer. In the end, the fitters graciously agreed to make the jacket a bit bigger in the upper back and armpit and told us that he would eventually grow into it. Minor changes and hem lengths were marked out for everyone and we were instructed to come back the next day at 11 am. If we were happy with the clothes then, we could take them home. If they needed further adjustment, we would have to come back for a third fitting. When we returned for our fitting the clothes were more finished but didn’t fit better! Fahbio’s was still fine. Onlyboy’s looked great but he still felt it was pulling in the back and the sleeves weren’t long enough to last through much growing. Paris’ collar still stood up a bit on one side and there were issues with her seams. Firstborn’s dress was great on the hanger but when put on it looked lopsided with one pocket sitting several centimetres lower than the other. The staff were absolutely accommodating and except for Onlyboy’s complaints were in complete agreement with us on what needed to be fixed. But even with that, they said they would make his jacket even looser. So back at 5 pm the same day. Firstborn commented that for a casual dress, it probably wasn’t worth having the item tailored. Simpler to try a bunch of clothes off the rack and pick one you like. I see her point. For something like a jacket/formal dress or for a differently proportioned person, it probably makes more sense. All in all, it was an educational and rewarding experience for us. 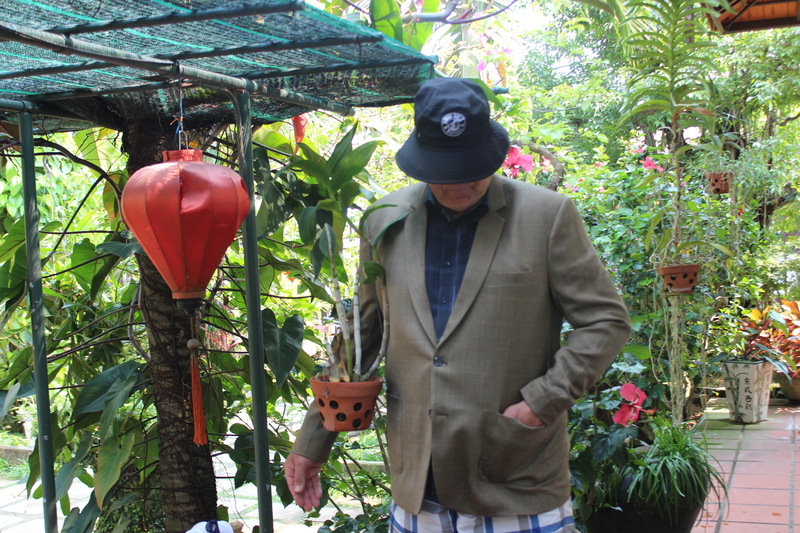 To anyone considering having items tailored in Hoi An, I would recommend doing lots of online research beforehand to select a tailor and to avoid common mistakes. I would also suggest listening to the shop assistants and fitters advice as I found them to be very knowledgeable and their recommendations on fabric, style and fit to be accurate. 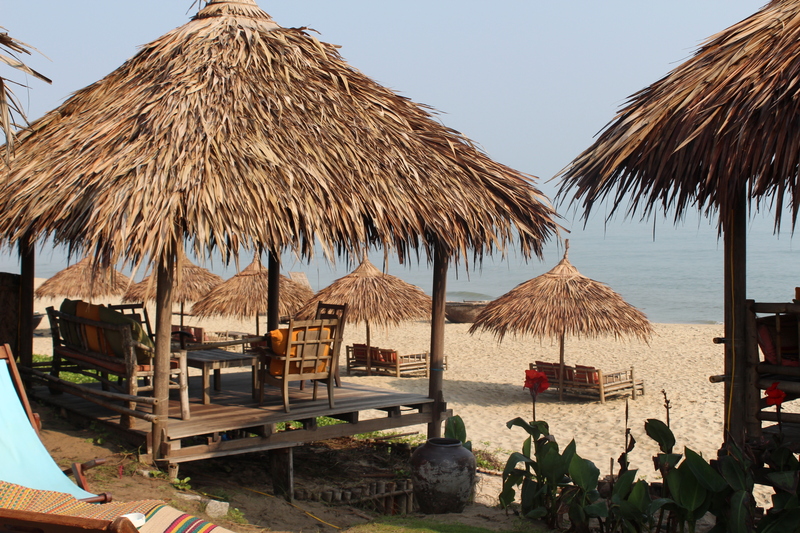 An Bang Beach is the quieter of the two main beaches in Hoi An. 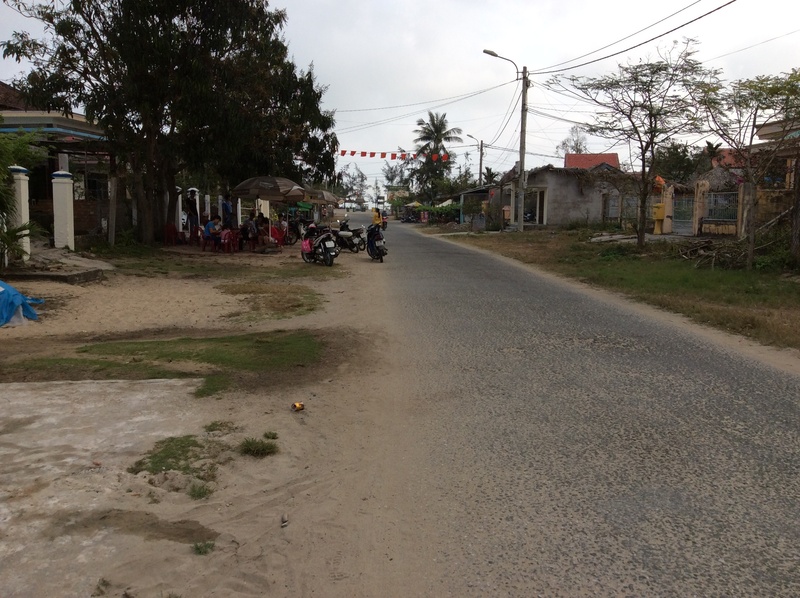 It is 5 kilometres out of Hoi An. 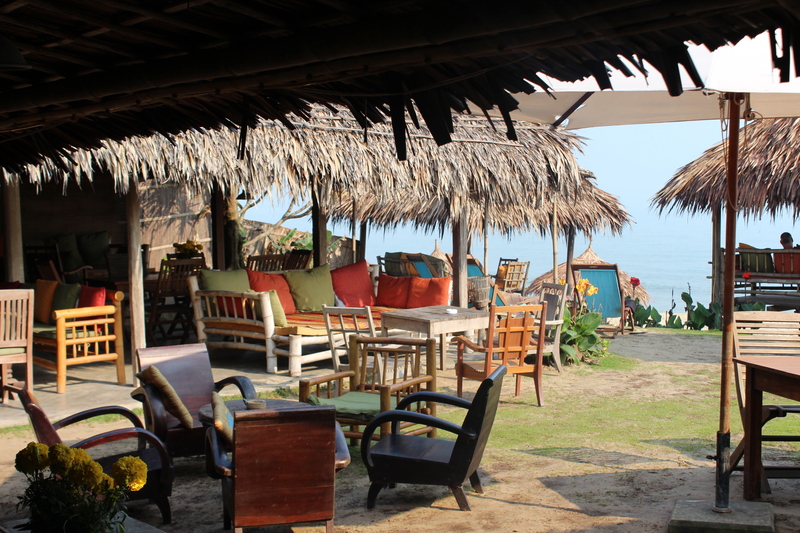 A peaceful bike ride through rice paddies to a laid back bohemian beach. Most people flock to Cua Dai Beach, leaving miles of golden sand devoid of people at An Bang. We were lucky enough to spend a week at An Bang Beachhouse. 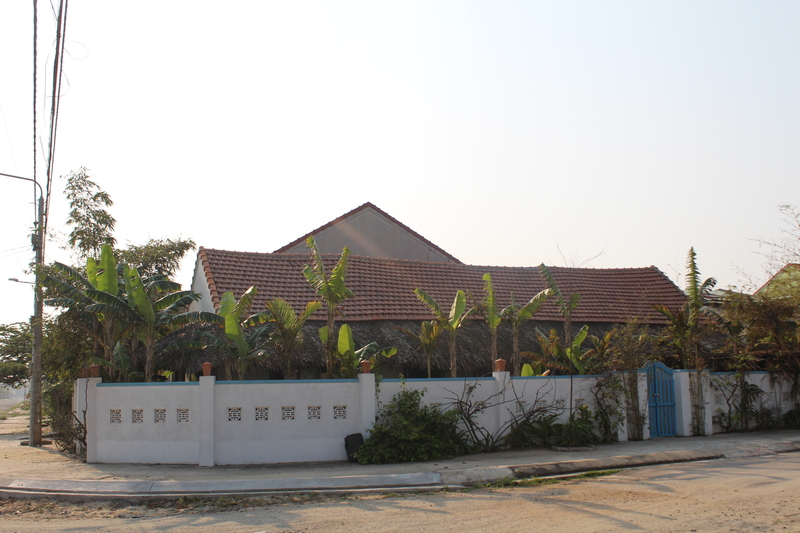 We rented it from Glenn, an affable Australian ex-pat living in Vietnam. Glenn greeted us when we arrived and we couldn’t have asked for a warmer reception. The beach house is beautiful and steps from the sea. Two large bedrooms, two bathrooms, a spacious open living/dining/kitchen area and a sleeping loft. Add in a garden, two bicycles and two housekeepers and the stage was set for an amazing week. Even though the beach house is steps from the beach, we sometimes chose to walk down the beach road to the section of beach with amenities. 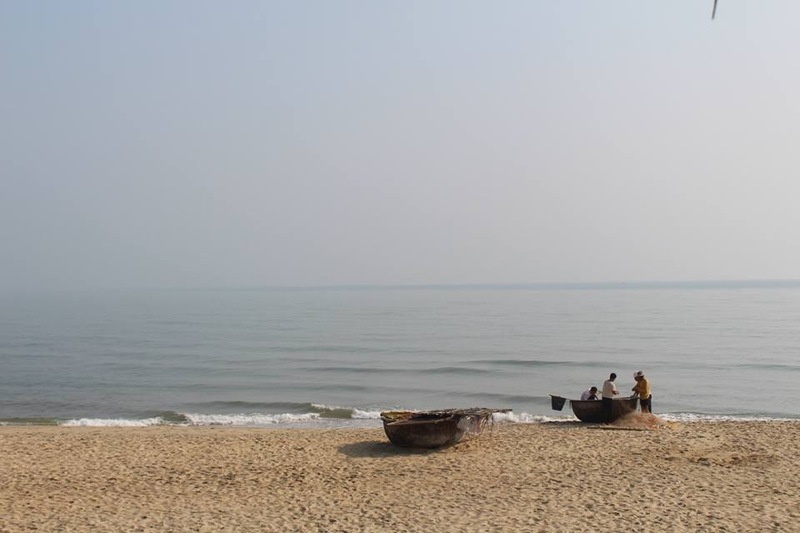 The sea in front of the house is virgin beach with nothing but a fisherman’s coracle in sight. Further down the beach road are palapas, vendors, other beach bums and the friendly bakery. An Bang beach is a special place. Although I have never lived by the ocean, I love a good beach and I have to admit that I am fussy when it comes to beaches. For me, a great beach has fine sand; the water is a beautiful colour; it is not crowded; you are not constantly harangued to buy things; you are not menaced by wildlife; and it is pleasant to wade (no jellyfish, sea cucumbers, sharp rocks, etc.). Have I forgotten anything? Of course, there has to be some shade. An Bang Beach has all of the above. There is no shade BUT there is a cluster of cafés on the beach where for the price of a coffee or a sandwich, you can relax in the beach-y shade all day. 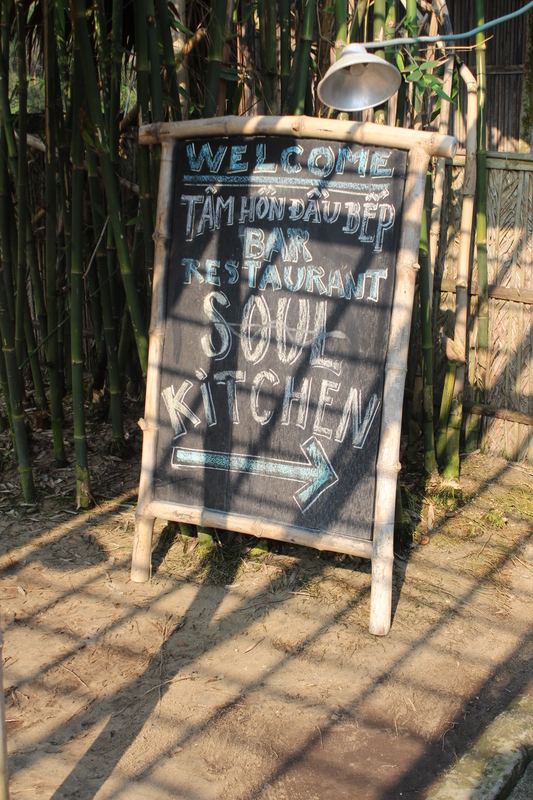 One of the most popular with tourists and ex-pats is Soul Kitchen. 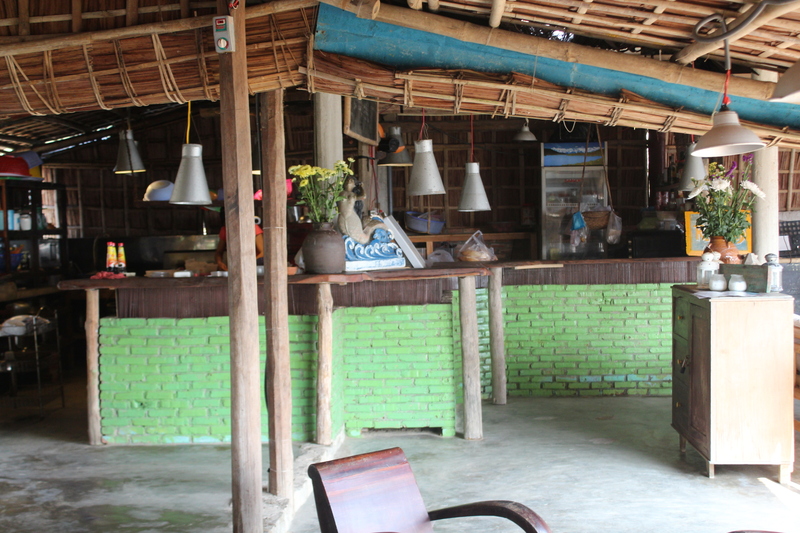 No better place to enjoy a Vietnamese coffee or sweetened lemon juice while the kids play on the beach. And like everywhere in Vietnam, free wifi! On the beach! Four-year Old Walks Twelve Kilometres – Read All About It! A few days ago, we left Kuala Lumpur at 3:30 am to catch a 6:15 am flight to Hanoi, Vietnam. We spent a couple of days in Hanoi. 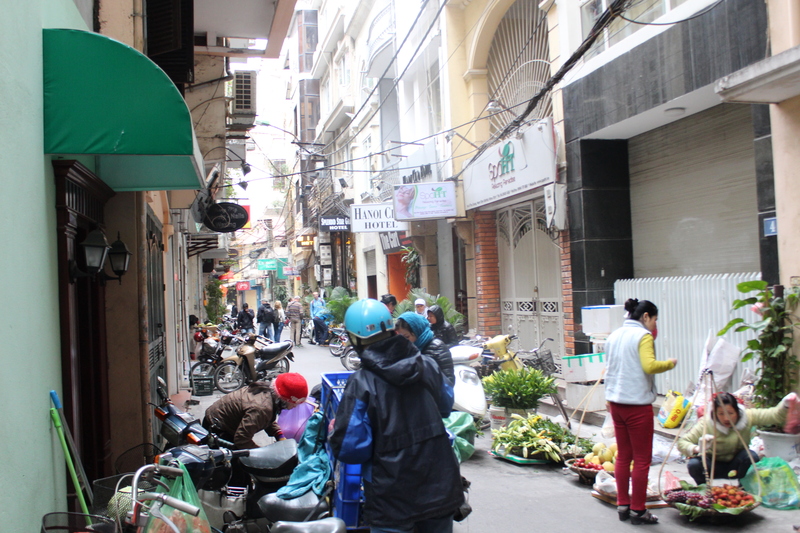 The weather in Hanoi was about 10 degrees celsius – very pleasant for walking around. On Valentine’s Day we took an overnight train to Lao Cai. 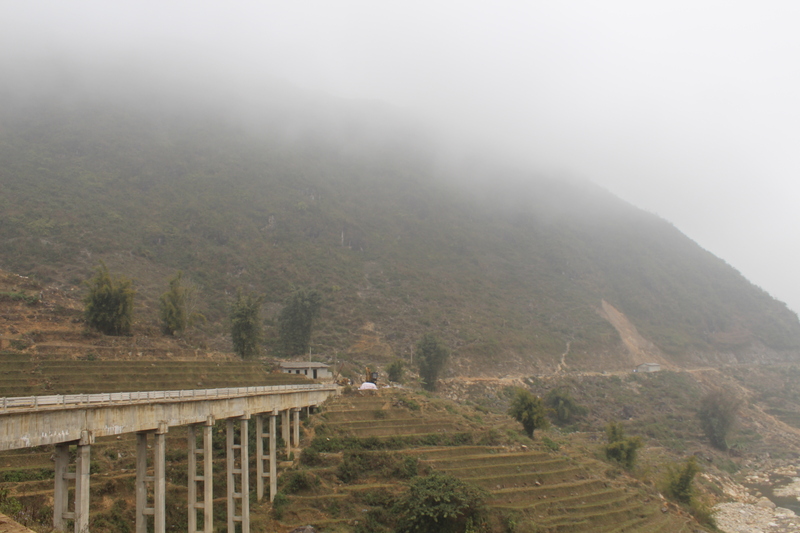 Our destination was Sapa but since the train doesn’t go to Sapa, we would have to go to Lao Cai and then travel the remaining 40 km by car. Although I love trains and take them whenever I can, it was my first experience sleeping in a berth on an overnight train. We were in “soft sleeper” class which meant that I shared a compartment with Lastborn, Venice, Paris and Onlyboy. There were four beds for five of us since Lastborn didn’t have to pay but didn’t get a space. Fahbio and Firstborn shared a compartment with a nice couple from Australia. We were given hot tea on board and then quickly fell asleep because we knew our train would arrive at 4:50 am. It seemed that we had just been lulled to sleep by the sound of the train on the tracks when our attendant was clapping outside our door to let us know we would be arriving shortly. Because it was so early, we disembarked in the dark and found a car to take us to Sapa. But then we noticed someone holding a paper up with my name on it. Our hostel had somehow sent someone to pick us up even though I hadn’t told them how or when we were arriving. Lao Cai is only 3 kilometres from the Chinese border. Sapa is a 45 minute car ride up the switchbacks into the mountains from there. The tallest mountain in Vietnam is one of many peaks that surround Sapa. We came to Sapa to do some hiking. The mountains are terraced with rice paddies and the villages are home to various minority hill tribes. Each tribe has its own language, religion and particular way of dressing. 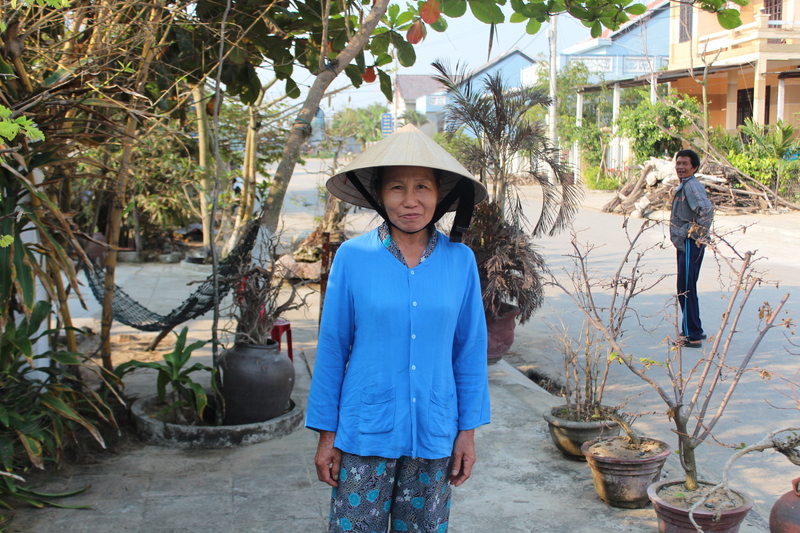 The people are not ethnically Vietnamese. Until recently they were very isolated because each village was only connected by footpath. Now it is possible to drive by road, but the footpaths are still very much in use. 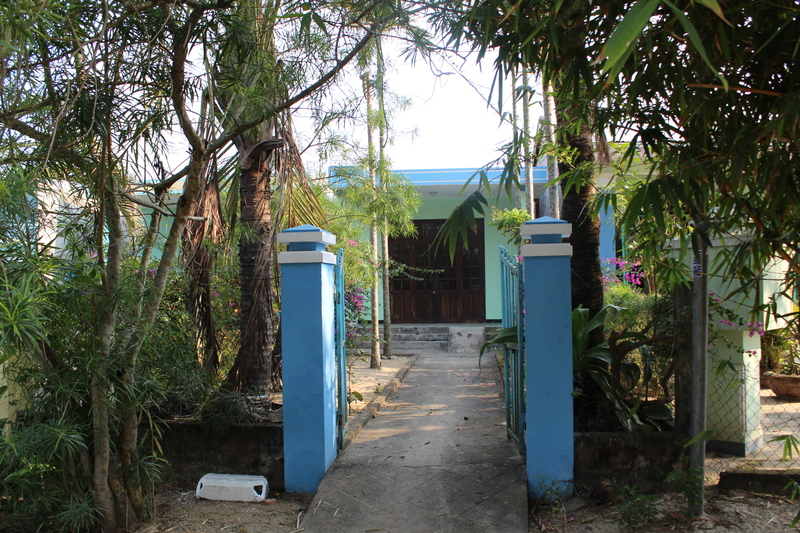 This is the only area in Vietnam where the houses have fireplaces and wood-stoves. It was so cold when we arrived that we put on long johns, hats and mitts. 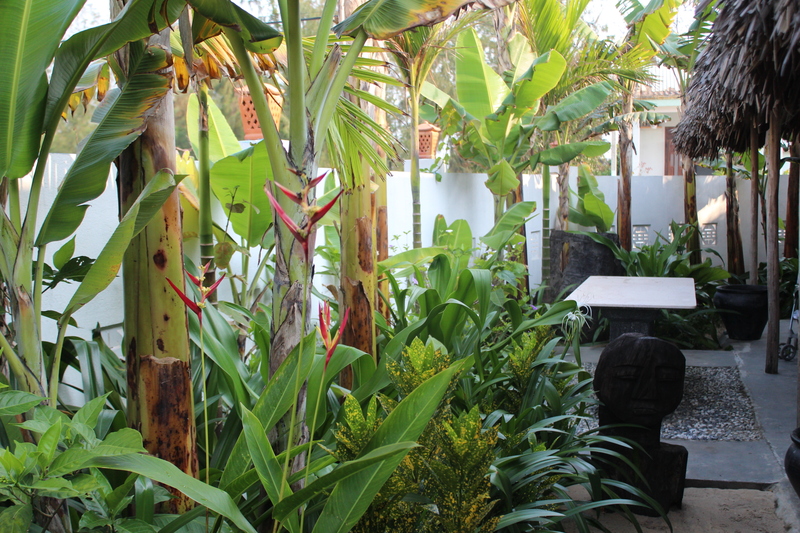 Our hostel is beautiful – a huge, old mansion with a nice garden and amazing views. We didn’t get to see the views until today though because yesterday the mountain mists were so thick you couldn’t see more than a few metres in front of you. When we arrived, our hostess warmed all our beds with electric blankets and we jumped right in, we were so frozen. 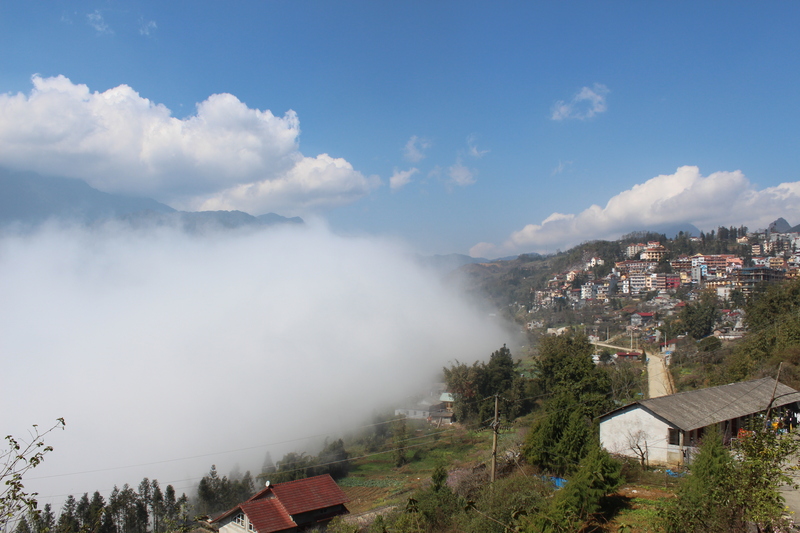 The average temperature in Sapa in February is zero degrees celsius. There is no heating in our hostel so the room feels very cold and damp. We have a small space heater and the electric blankets to warm us up. 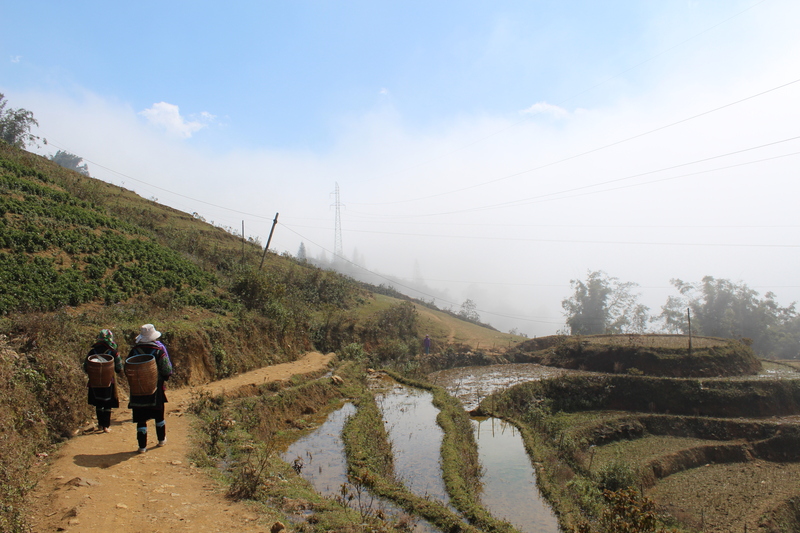 Yesterday we decided to walk to Cat Cat village which is 3 kilometres from Sapa. I think it was nice but with the dense cloud fog it was difficult to tell. Today was sunny and warmer so we decided to hire a guide and walk to a few villages. Our guide Lisa met us at 10 am and we began to walk along the main road. The fog had rolled in again so we couldn’t really see any of the amazing views that were obviously there. The hotels are all built on the side of the cliff so that you can see the mountains and rice paddies. If the weather cooperates. After 2 km, we left the road and started walking on a footpath through the rice paddies. Four Black Hmong ladies were walking with us. They will walk with a group for great distances, chatting and smiling, and then will try to sell you some handicrafts when they reach their village. Black Hmong women walk 25-30 kilometres a day, either in rubber boots or in plastic sandals (which they wear even when it is very cold). Within a few kilometres, two of the ladies gave up with our slow pace and wandered off. The other two stayed and one, in particular, took great care to help me with slippery sections of the path. Lisa told us that we were lucky because it was a dry day. In previous days, she said that she was muddy to her knees and many tourists had slipped and gotten muddy bums. The hill tribes make all their own clothes. The Black Hmong weave their cloth from hemp, then dye it with local indigo. It is a process that takes one month. As they walk, they pick hemp and separate it into strands that they wind into skeins. 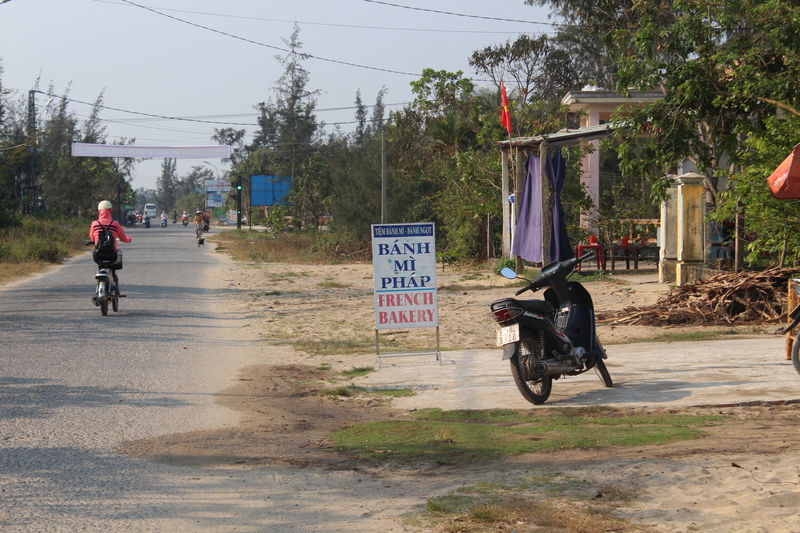 After 8 km, we reach Lao Chai village (not to be confused with Lao Cai city). 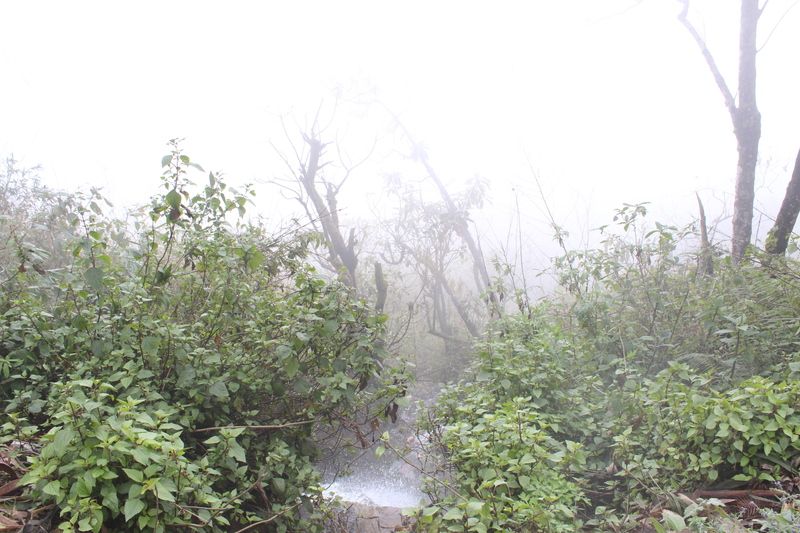 We had passed another village but because of fog, we missed seeing it! We had lunch in Lao Chai and were ambushed by ten little girls who were all adamant that we buy bracelets from them. They followed Firstborn and wouldn’t give up. She said she felt like the Pied Piper with no flute. 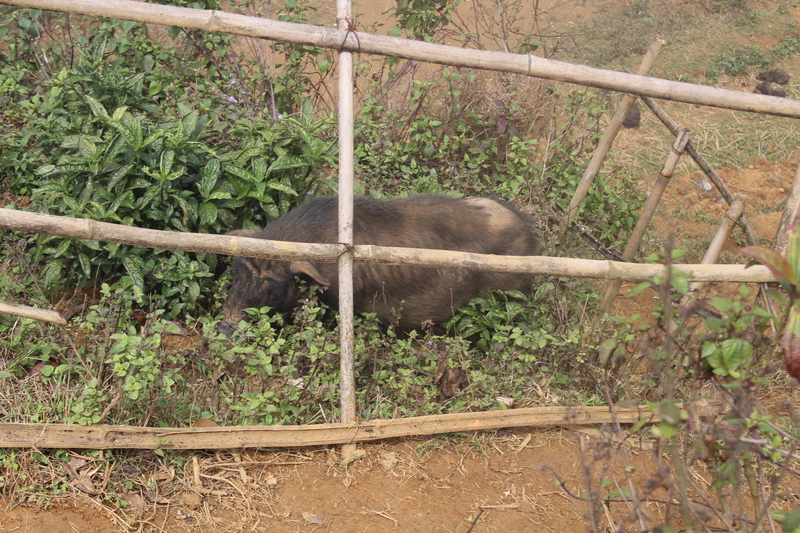 Walking through the village was very nice – pot bellied pigs, ducks, colourfully dressed girls and ladies, water buffalo and rice paddies. The peach tress are in bloom here and they are so picturesque. After lunch we walked another 4 kilometres for a total of twelve. Lastborn never complained once – she just held Lisa’s hand and told her all kinds of stories. But when our van picked us up at the end of the twelve kilometres to bring us back to Sapa, her eyes started to droop and she nodded off. A very well deserved rest, I would say!